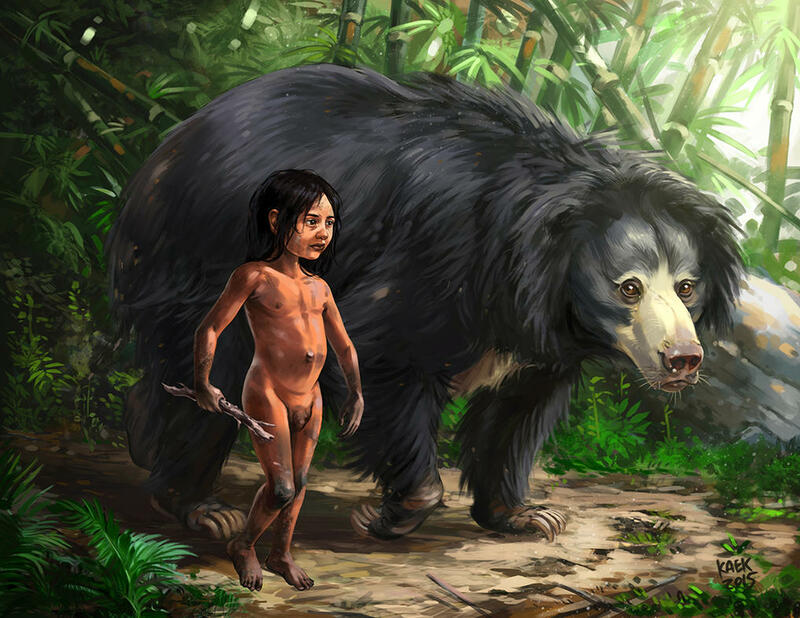 Baloo, the sloth bear, first captured the hearts of audiences in the 1967 film, The Jungle Book. He went on to appear in the 2003 sequel, Return 2 the Jungle and the 1996 television series, Jungle Cubs. He’s had several cameos in TV shows, such as House of Mouse and Aladdin. And he’ll be making his big screen live action debut on April 15th, though I’m not so sure we should include that one. Just yet at least. The Jungle Book was the first Disney animated film to be released after the passing of Walt Disney. Since Disney had such a hands on approach to his creations, many people were worried about the future of animation at the Walt Disney company. In fact, if The Jungle Book had been a flop, it could have quite possibly been Disney’s last animated release. Especially since their last animated film, The Sword in the Stone had a lukewarm reception upon release. Disney was determined that The Jungle Book appeal to a wider audience and thus ventured away from the darker more serious elements of the original source material, opting for a lighter, more carefree film. Originally a novella penned by Rudyard Kipling, The Jungle Book was much more dramatic. Disney focused on Mowgli’s stories and took off from there. Some of the more notable changes are the inclusion of King Louie, turning Kaa into a foe and changing Baloo from stern older brother into best buddy. For a more detailed comparison check out the blog, Disneyfied or Disney Tried. My personal favorite appearance of Baloo was his role as a “1930’s Pacific Islands bush pilot,” in the TV series Talespin. I watched it on Disney Channel back when it first aired from 1990-1991. I even watched it as background when Disney brought it a few years back. Talespin had everything. Action, Adventure, a little romance, animals acting like people. Little Spoilers: After Diane left Cheers, Sam decides to sell the bar and spend the money on a sailboat that ends up crashing. He goes back to Cheers looking for a job and needs to work there, under the new management, Rebecca Howe. They go on to have a flirtatious, will they won’t they relationship. Back to Talespin, Baloo owns his own air delivery service, Higher for Hire, but due to his laid back attitude he’s not a very good businessman and loses his company and must work there, under the new management, Rebecca Cunningham. They go on to have much less flirtatious, but still will they won’t they relationship. This was all in my head until the internet came around and I was able to confirm it! While in creation, Talespin drew inspiration from the flying scenes in Hayao Miyazaki’s Castle in the Sky. Louie’s bar was inspired by Rick’s from Casablanca. And speaking of Louie, the Ape King was noticeably absent in Return 2 the Jungle. Odd right? Well, there was a reason. Singer, songwriter and orchestra conductor, Louis Prima voiced King Louie back in 1967. Prima passed away in 1978, and the role of Louie was given to voice actor, Jim Cummings. Apparently, he did a little too good of a job of impersonating which lead to lawsuits between Disney and the Prima family. Happy Day Two of the A to Z Challenge! Don’t forget to check out my Instagram Picture for Baloo! I like your Instagram picture of Baloo, which brought me to this post via your Insta profile. I am so curious to see how the new Jungle Book movie will be! So am I! The first trailer that came out made it look so dark. A little boy living in the jungle never seemed so scary in animation. OMG, you’re really good at that stuff. That was so instructive. I remember watching Talespin as a kid that was so much fun. I love Baloo too, especially the fun carefree side of him. I loved Talespin and Jungle Book too. I am Parul from Happiness & Food and part of co-host Pam’s Unconventional Alliance from the #AtoZChallenge. Stopping by to say hello. Good luck for the challenge. Talespin, Cheers, The Wonder Years…I feel like I’m sailing down Nostalgia River. Such great shows they were. Baloo is such a wonderful character.